Sara Mearns and Joshua Bergasse said "I do" in a beachside ceremony on November 3. 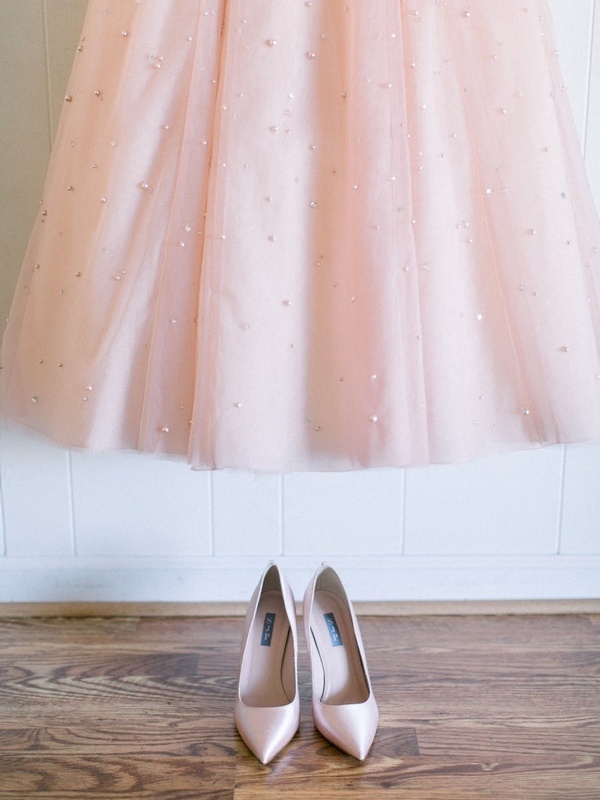 Photo by Perry Vaile Photography, Courtesy of Brides. 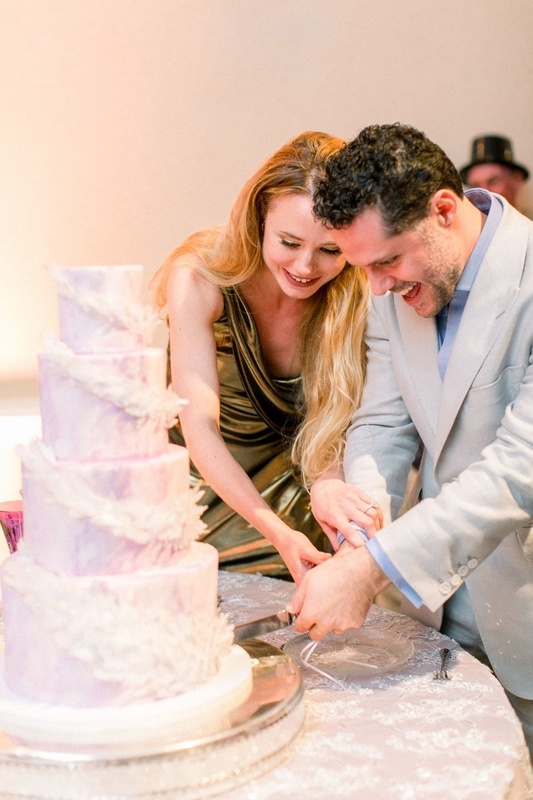 If you follow New York City Ballet principal Sara Mearns on Instagram, you'll have noticed that for the past several months, her feed has included wedding prep pics in addition to her usual performance posts and cross-training clips. 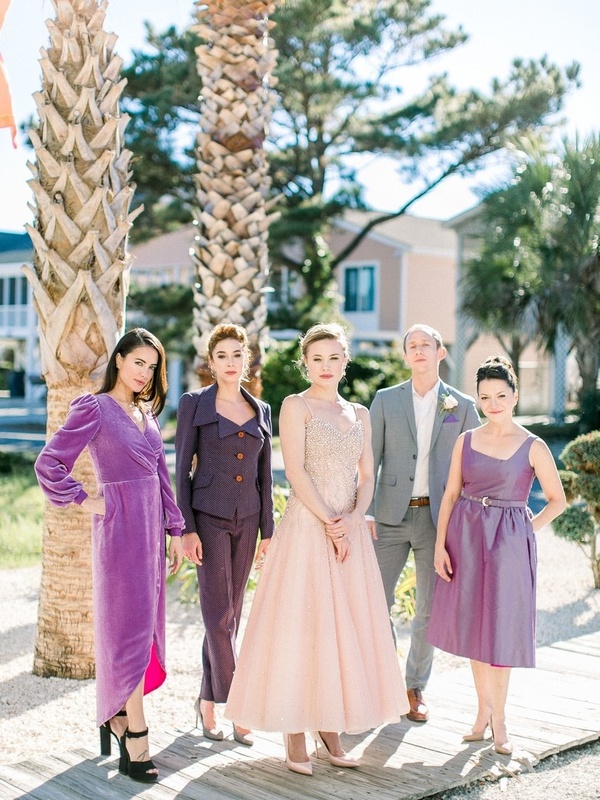 This past weekend, the big day finally arrived, and Mearns married Broadway and television choreographer Joshua Bergasse in a dreamy beach ceremony in North Carolina. And if you were hoping Mearns' wedding day would include a bit of ballet, she didn't disappoint. Not only were some familiar NYCB faces in the bridal party and at the reception, but Mearns made sure to include a nod or two to her career. Luckily, Mearns also spent the day with Brides magazine, letting them in on the ceremony and the reception to exclusively capture all of the best moments. NYCB costume director Marc Happel designed Mearns' pink tulle gown (plus a gold mini dress for the reception). Photo by Perry Vaile Photography, Courtesy of Brides. Happel also created the various purple designs for the bridal party, which included NYCB corps member Gretchen Smith and Les Ballets de Monte Carlo's Christian Tworzyanski. To match her gown, Mearns chose pink heels from NYCB board member Sarah Jessica Parker's SJP Collection.